As was established in Prompt One, the ultimate purpose of copyright is the creation and spread of knowledge. In order to do this, copyright must strike a fair balance between protecting creative works and allowing the public to use them. Balancing these different objectives can be a challenge for copyright, particularly in the digital age. This is because there are many different stakeholders with opposing interests in the copyright debate, and they do not always agree on where the balance lies. In light of this, we will explore the different stakeholder perspectives drawn from the responses on copyright regulation in the digital age and consider the arguments supporting and arguments criticising copyright regulation. From the stakeholder responses, we have identified three main arguments supporting copyright regulation, which are explored in this section. They are (a) rewarding creators; (b) encouraging creativity; and (c) promoting culture in society. The first argument supporting copyright regulation is that it means authors are paid for their work. This means that creators can live from their work; such as described in the J. K. Rowling example in Prompt One. This is achieved by granting the creator an exclusive right, which means others need to ask for permission before they can use the whole, or a substantial part, of the creator’s work, unless the use falls within one of the exceptions or the work is in the public domain. Usually creators make money from their creations by licensing their copyright. They can do this in a number of ways, such as through a collecting society, a publisher or record label for example. Copyright then enables the licensing agencies to distribute the work to the public and pay the creator royalties. 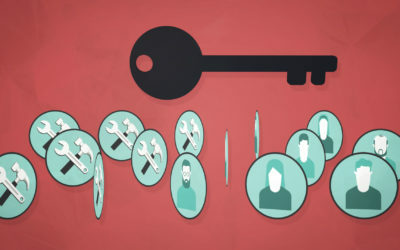 For more information about how licensing works, see the licensing and exploiting section on Copyrightuser.org. When artists are paid for their work, through royalties for example, they are then able to produce more material. Copyright only protects the expression of an idea, not the idea itself. This means that whilst creators can benefit from their work, their personal expression, the general ideas remain available for others to use. See the using and re-using section on Copyrightuser.org. Another person can take inspiration from a work and add his own personal creative input to develop further creative works. This new work could then also be protected by copyright. Copyrightuser.org interviewed creators and asked them about what motivates them to create. For example see the video involving filmmakers for a further insight. As explained above, when authors are encouraged to create, more creations and more content come into being. As a result, our cultural heritage grows and this benefits society as a whole. These examples illustrate that the purpose of copyright is to promote creativity and spread knowledge. Copyright allows creators to get paid for their work, which means more creation and a rich culture for society. Once again, from the stakeholder responses, we have identified arguments criticising copyright. These include (a) copyright protection is too long; (b) copyright regulation is too strict; and (c) it has not adapted to new technologies. Generally, copyright expires 70 years after the death of the creator. After that time, the work becomes part of the public domain. 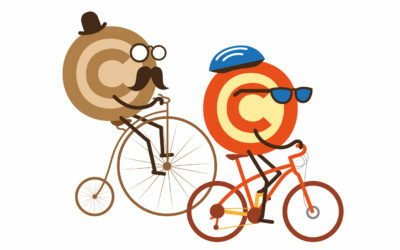 Once in the public domain, copyright is no longer attached to the work and it can be used by anyone without permission. See the public domain section on Copyrightuser.org for more information. Some stakeholders believe that copyright protection lasts too long and therefore does not balance the different interests fairly. Therefore, some stakeholders argue that copyright protection should be shorter so that works can become part of the public domain sooner. This would mean that the public has the ability to access and use the works within a shorter period of time. Some stakeholders also argue that copyright regulation is too broad. By this they mean that copyright prohibits too many activities. As a result, it is felt by some that the balance of copyright falls in favour of the copyright owners. One aspect of copyright that determines what activity is allowed without permission, and what is not, are the exceptions to copyright. Copyright exceptions are circumstances in which a person does not need the permission from the copyright owner to use his or her work. These exceptions are explained in detail on Copyrightuser.org. They include quotation, news reporting, education, private study and parody, amongst others. However, some stakeholders believe that the exceptions are too narrow. As a result innovative and new uses of copyright works still require permission. This means that common amateur and non-commercial uses online are often infringing. 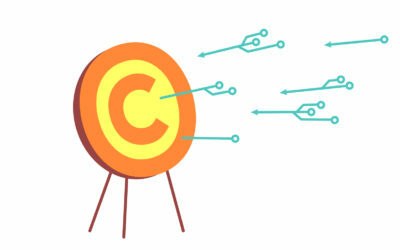 One reason that copyright exceptions may be too restrictive is that the current copyright law has not adapted appropriately to new technological uses. Copyright has a close relationship with technology; it must keep up to date with new developments in order to continue to protect the creators whilst still promoting the spread of knowledge. However, the most recent changes to the copyright legislation reflects a new set of exceptions, including an exception for parody which takes into account the type of user practices identified above. 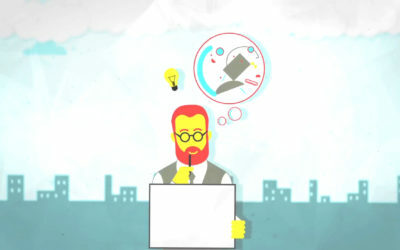 The Copyrightuser.org resource provides an interesting video on copyright and creativity, which highlights that the main challenge for copyright law is to adjust to the rapid changes in technology whilst fulfilling the purpose of encouraging learning and the spread of knowledge in a balanced way. Therefore, if copyright regulation is not up to date it may be too restrictive and cannot serve its purposes to benefit society by encouraging creativity and developing cultural heritage. 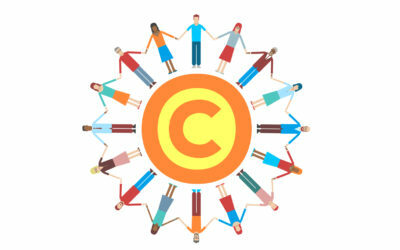 The purpose of copyright is to promote the creation and spread of knowledge. This can have many benefits for the creators, copyright owners and society as a whole. However, if copyright is too restrictive it could have a chilling effect on creativity and will not serve its purposes. Therefore, copyright must strike a fair balance between protecting creative works and allowing the public to use them. Set out below is a table displaying the main arguments for and against copyright as discussed above. When someone, other than the original author, creates a new story using the characters from an existing work, this is known as “fan fiction”. Fan fiction is a popular and creative use of works that are often protected by copyright. The legal perspective is that use of the whole or a substantial part of a copyright work without permission is likely to infringe the copyright owner’s rights, unless the use falls within one of the exceptions or the work is in the public domain. Authors have mixed opinions on fan fiction. For example, Stephenie Meyer, author of Twilight, actively endorses it by linking to fan fiction sites that use her characters from the Twilight series. However, George R. R. Martin, author of A Game of Thrones, is strongly opposed to fan fiction, as he believes it to be copyright infringement and a bad exercise for aspiring writers. There are many reasons why an author might be opposed to fan fiction. For example, they may not approve of the way in which the fan fiction uses of characters from their works. The fan fiction author may also be able to make money from their use of the author’s work, which the original author could see as being unfair. However, at the same time fan fiction is usually created and shared by fans of the original works. Therefore, if a copyright owner were to enforce their rights against a fan this would be very controversial. Copyright protects creative works in order to promote the spread of knowledge. However, this must be balanced fairly with the interests of the public. Consider what kind of copyright permission is required in relation to these various scenarios. 1. You want to create a fan fiction video piece using the characters from your favourite film and you want to publish your fan fiction video on a website where other people share their fan fiction stories. 2. You want to publish your fan fiction video on a public video sharing online platform that is not just for fan fiction but also for any type of video such as YouTube or Vimeo. 3. Your fan fiction video becomes very popular and you are able to make money from it. 4. Do you think this strikes a fair balance between the users and the creators in relation to fan fiction?